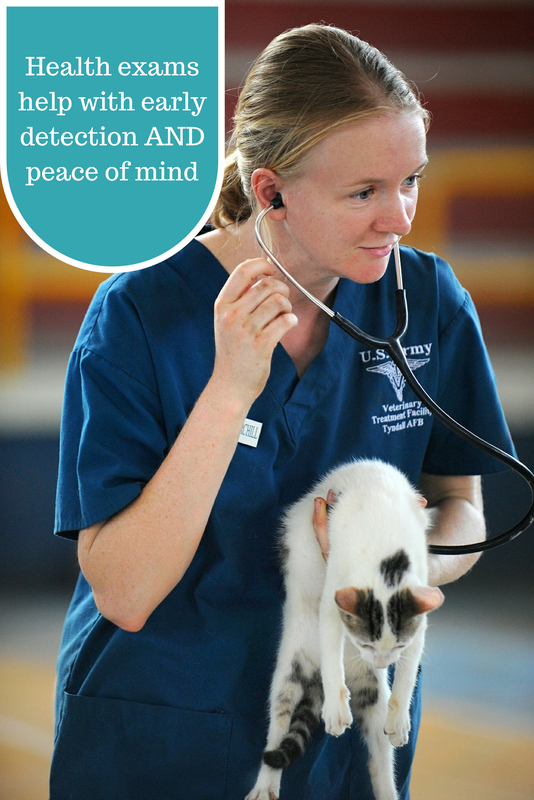 Peace of Mind: The best case is that the vet or tech confirms your pet’s good health in order to avoid adverse reactions. We don’t want to give a vaccine if your dog or cat's health is too compromised to handle that vaccine, and conditions like a fever, heart murmur, irregular lung sounds, and more will give us something to consider that may be higher priority than a vaccination. Note that often signs like these are not apparent to the naked eye. Early Detection: If we don’t find that your pet is in tip-top shape, at least we’ve worked to uncover any health issues as early as possible. 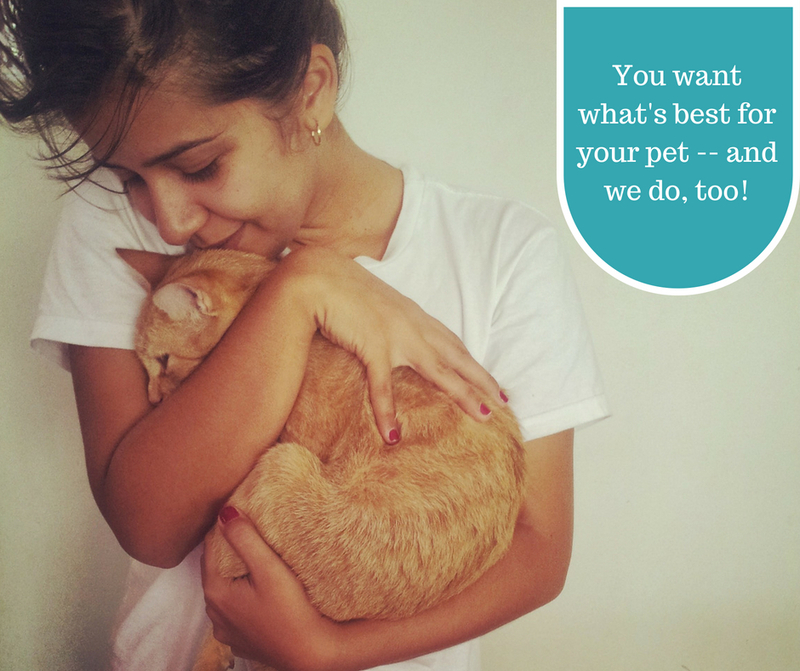 A chance for us to see your pet is a chance for us to check in. Of course, we absolutely believe that Fido or Fluffy has been perfectly happy at home, but we don’t want to bypass the opportunity for an exam. During a checkup, we might catch conditions before your dog or cat shows any signs of illness, which can vastly improve prognosis. Even if an uncovered illness does not delay the vaccine schedule, you and your pet will be happier if we can start treatment before an illness becomes severe. 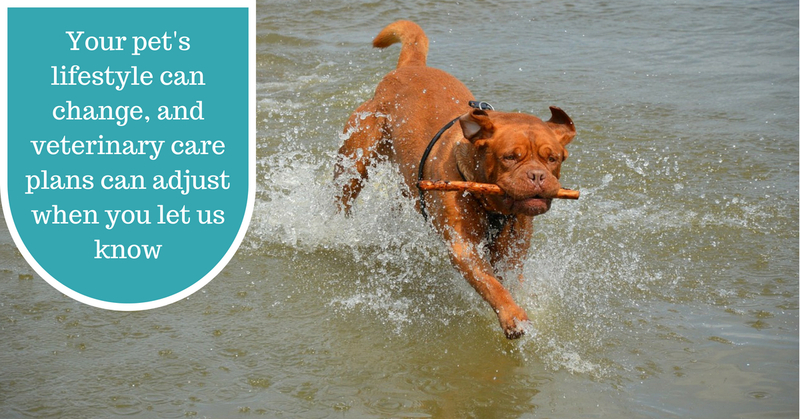 And if we happen to find a chronic condition, we can help you and your pet on the road to successful management for a healthier, longer life. Your Everyday Life: In addition, now is your chance to alert our veterinary team to any lifestyle changes. Have you decided to take up regular camping with your dog? Has your cat transitioned to an indoor-only routine? Changes like these can affect the vaccines, tests, and preventives we could recommend -- sometimes we make additional recommendations, and sometimes we scale back. A conversation with you, along with a physical checkup, can be an incredible asset in your pet’s overall healthcare plan. The familiar saying, “First, do no harm” applies here. Our staff keeps each pet’s health top of mind at all times. We would never want to knowingly put your pet in danger, and a physical exam provides a great deal of information ahead of performing other treatments and services. The bottom line is that it takes a lot of heart to become a veterinary professional, and we want you to know that, above all else, we truly care! Finally, we do need to look at technicalities. Across the country, State Veterinary Boards and other governing bodies have established guidelines that veterinary clinics must follow. In particular, there are strict requirements surrounding the Rabies vaccine. So in some instances it comes down to the fact that we have to examine your pet; there are situations in which we’re bound by law. Ultimately your pet can’t speak, and a physical exam is the best form of communication our veterinary team has with your beloved furry friend. This chance to check in lets all of us keep tabs on your pet’s best health. If it’s time for your dog or cat's next visit, please be sure to contact us!